Our dining room is quite dark, when we finally renovate it I want to put a lot of thought into the lights we use. We have quite an impressive dining table and I want to make sure the light focuses on that. I have been looking at low lights that really change the atmosphere of the room. I would love to entertain more, drawing everyone’s attention to the table and the special people sitting around it. If you want a statement piece, you can find beautiful chandeliers at discounted prices from lights.co.uk. These are a great choice for ceiling lighting. But you need to make sure you pick out one that is the right size for the room. As a rule of thumb look at the size of your table for guidance. You don’t want the chandelier to dominate the existing furniture so aim for a chandelier that is about half the width of the table. Colour wise you have plenty of choice, chandeliers come in a wide range of materials that can complement your current interior. You don’t have to put all the attention on the overhead lights you can layer them. Adding table and floor lamps can create a more intimate atmosphere. It gives you more options if you are planning a romantic dinner for two rather than a lively dinner party. Adding dimmer switches is another easy way to change the ambience in the dining room. 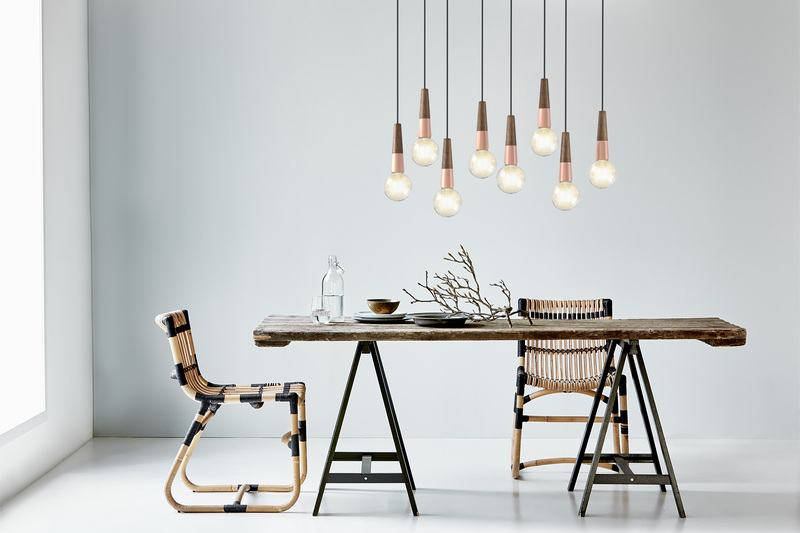 You can brighten the lights when working at the table or lower than when you want to alter the mood. It can make the dining room a more versatile space. Our dining room is used for so many different purposes we need to be able to control our light temperature effectively. It’s worth putting thought into the bulbs you use. LED lights are more expensive initially but have a longer life span and are much cheaper to run. LED lights can pay for themselves in five months according to this article in the Telegraph. So, it might be worth buying new bulbs to go with your new light fittings. As I am quite safety conscious, I also like that they are considered safer as they don’t get warm like some bulbs. We have had a light bulb explode in our old house and it was quite scary!